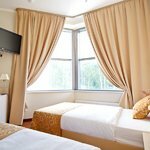 Comfortable rooms with one double or two single beds, bedside tables, working zone, wardrobe, individual air conditioning, phone, TV, bathroom. 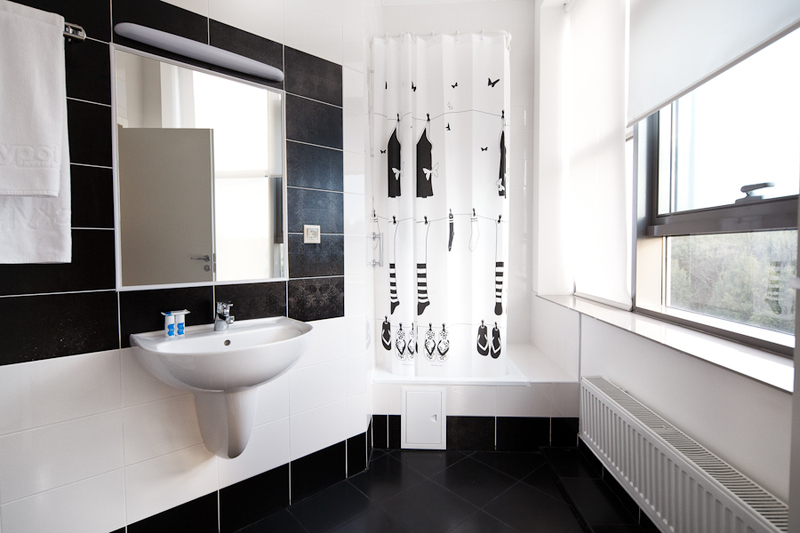 A private bathroom is equipped with shower cabins, washbasins, bath and hygienic kit. The interior is designed in calm colors. The large windows create an atmosphere of coziness in the room. Thanks to the dense curtains, the light does not interfere with falling asleep at any time of the day. The single, double and triple rooms are perfect for both business travelers and families with children. All rooms of this category are located in the Gamma building. The bright rooms are located in the building Delta, which was opened summer 2017. 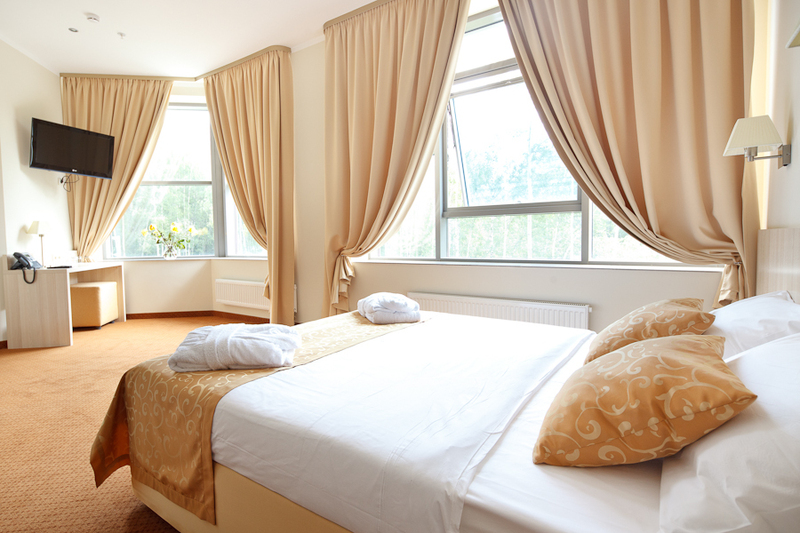 The rooms are designed in pastel colors and have large windows, which create a pleasant atmosphere in the room. 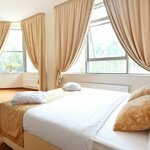 The rooms are equipped with a king-size bed with orthopedic mattress, air conditioning, flat screen TV, wardrobe, private bathroom and working area. 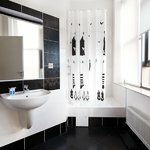 The bathroom accessories include a personal bath and hygiene kit, hairdryer, slippers. 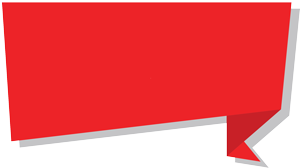 Some rooms of this category are located on the 1 floor. 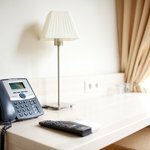 The most spacious rooms with a double bed have large windows overlooking the Khimki Forest or business park. 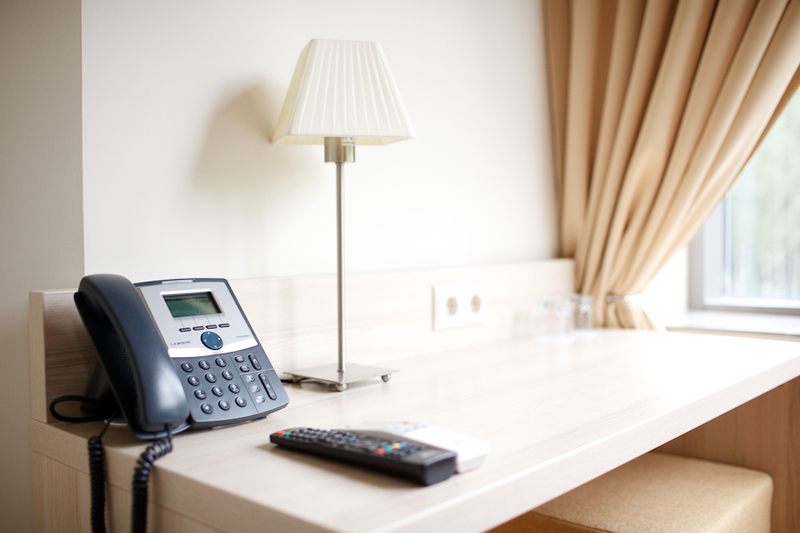 Rooms are additionally equipped with a minibar with snacks, coffee machine and a tea station. 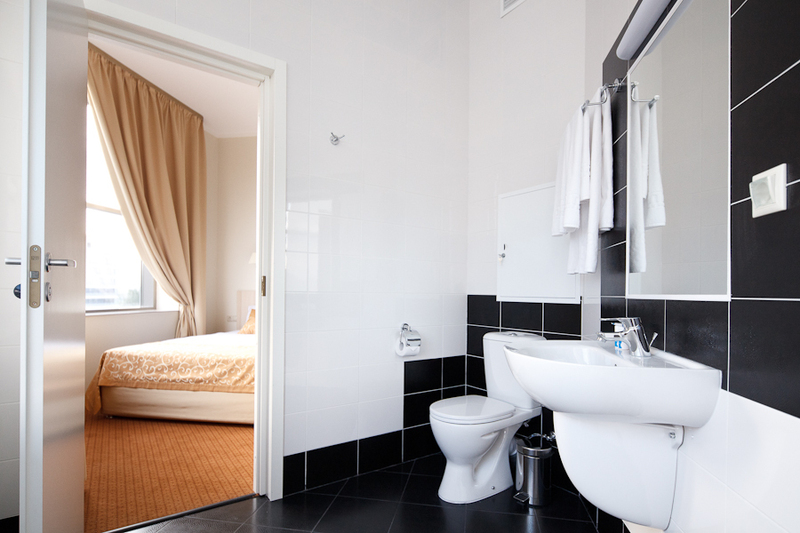 The bathrobes, expanded hygiene kit and hairdryer are at the guests's disposal in the private bathroom. All rooms of this caterogy are located in the building Gamma. Compact and at the same time cozy room without windows is the right choice for travelers who just want to sleep well and relax. 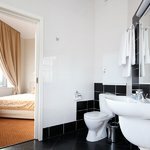 Rooms with one double or two semi-separate beds have a private bathroom, working area, wardrobe, bedside table, flat-screen TV, phone and air conditioning. Soft, diffused light, orthopedic mattress and the lack of waste details make this room the best choice for quality sleeping. The equipment of the bathroom includes a shower cabin, hygiene kit, slippers. Bright and spacious apartments with a modern interior and big windows are equipped with a small kitchen (including microvawe), air conditioner, TV with the flat screen, bathroom and a full-equipped workplace. 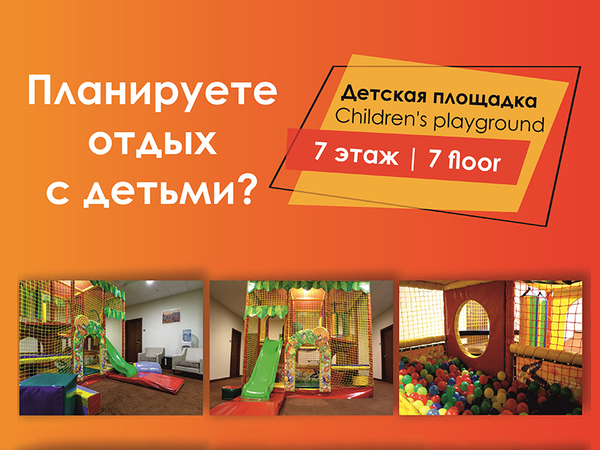 All rooms of this caterogy are located in the building Delta. Visa invitation can be obtained in a few minutes on our site - fill out the form and get a voucher. 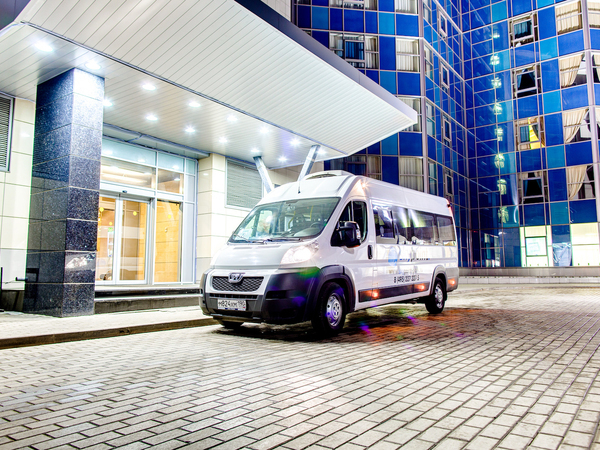 Comfortable buses run around the clock with an interval of 12-30 minutes between Sheremetyevo Airport and SkyPoint Hotel.